The Egyptian Geese who nest in a split tree trunk northeast of the Round Pond have produced another ten goslings, their second brood this year. They are in danger not only from gulls, but from another pair of Egyptians with two young who are determined to make the whole pond their territory. 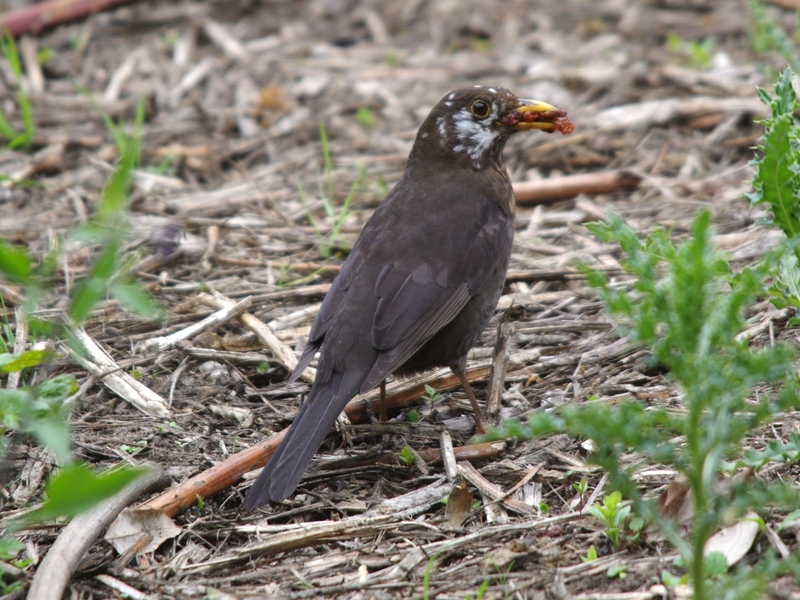 They have already attacked and injured the male here, though he has now recovered. Meanwhile the hopeless pair of Egyptians who have never raised a gosling have taken to standing on the urns in the Italian Garden. 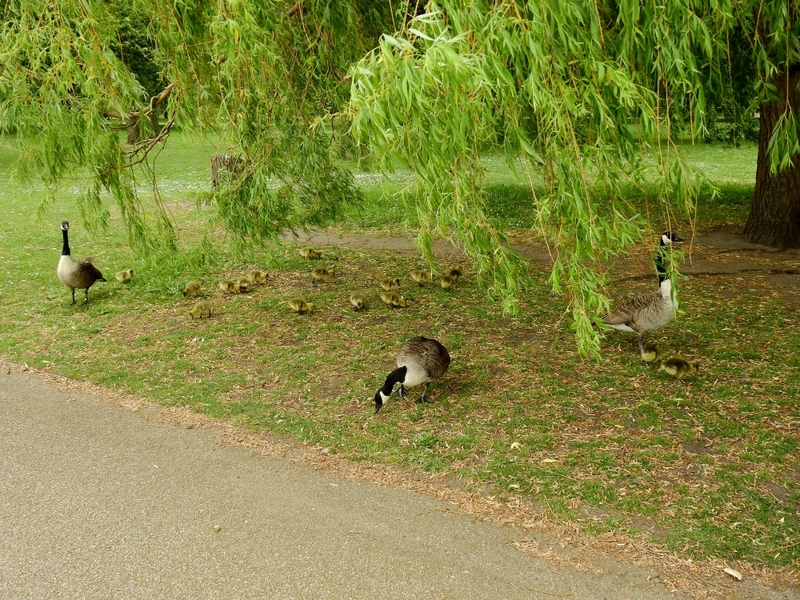 A new family of Greylag Geese on the shore of the Serpentine paused to take some birdseed I put down for them. 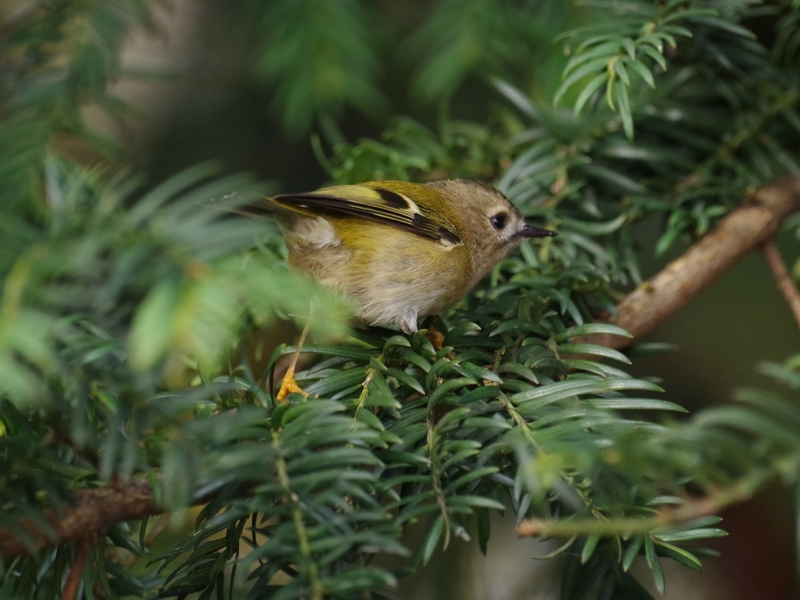 The male kept an eye out for approaching dogs and Herring Gulls. 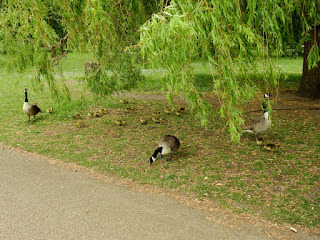 The two families of Canada Geese were together in the shelter of a willow tree. Both the Mute Swans on the Long Water brought the cygnets to Peter Pan to be fed. 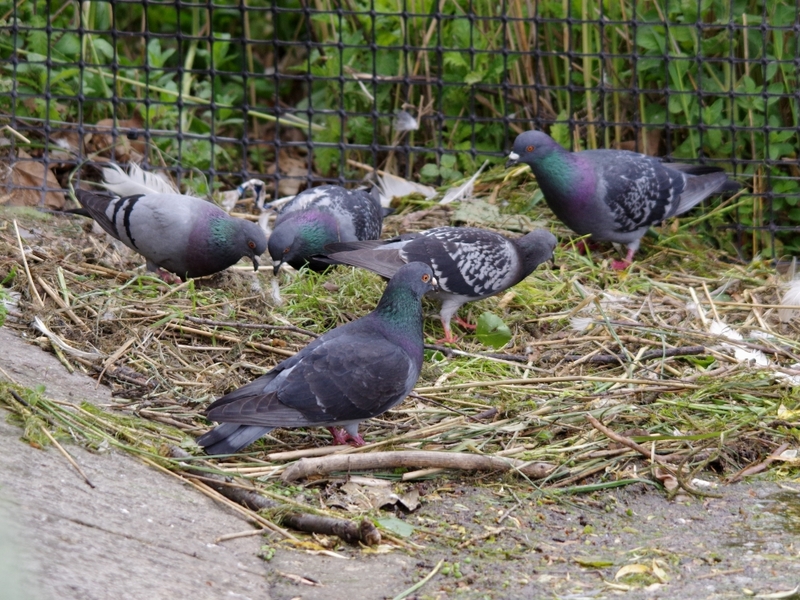 Today I arrived just after they had finished, and were about to head back to their nest. 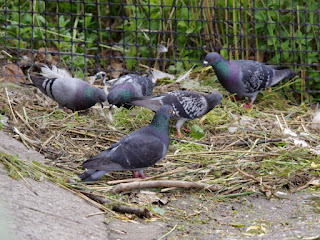 The swans' nest at the Lido restaurant has now lost all its seven eggs and the swans have deserted it, leaving the site to the inevitable Feral Pigeons. This is certainly the work of humans. It may be homeless people, but egg collecting, though now illegal, continues and perhaps these eggs are already advertised on the dark web. A Mallard at the east end of the Serpentine kept her ducklings well into the edge to avoid swooping Herring Gulls. But they have to go out into open water sometimes, and ducklings tend to wander off, and the gulls are observant and hungry. 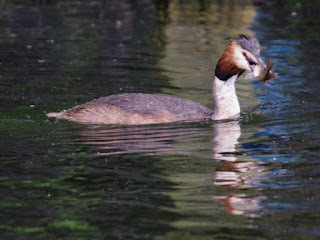 A short way off, a pair of Great Crested Grebes danced, or rather tried to. I've been watching this pair for several years, and they never seem to get their dance right. One of them drops the weed, or doesn't stand up, and the ritual collapses. 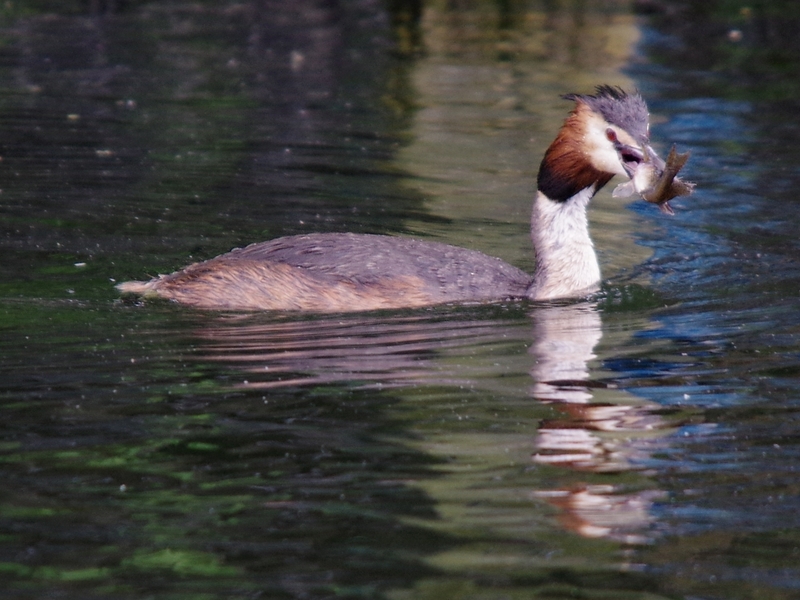 It's obviously quite difficult to master, but most grebes manage it with a bit of practice. At the island, it was the female grebe's turn to carry the chicks while her mate went fishing. He caught a fish that was too large for them, and ate it himself. 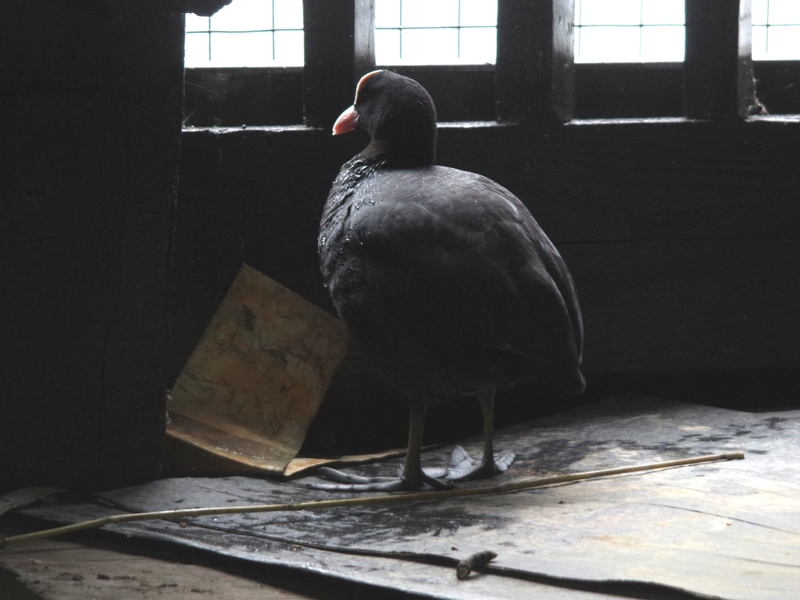 The strong wire mesh nailed over every aperture in the newly restored boathouses is no deterrent to a Coot. If a Coot wants to get in, it gets in. Sadly, though, the nests they build here always fail because they are on a platform, and the chicks fall off the platform and can't climb back. A Pied Wagtail found the roof of one of the boathouses a convenient station for both singing and darting out to catch flying insects. Another caught an insect on the shore. 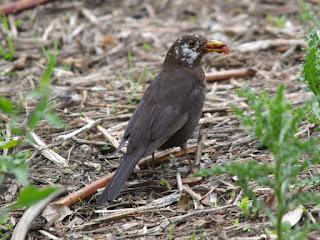 The white-faced Blackbird collected a beakful of sultanas to take to her nest near the Italian Garden. The Goldcrests are no longer singing much now, but there was one in the yew tree near the bridge. 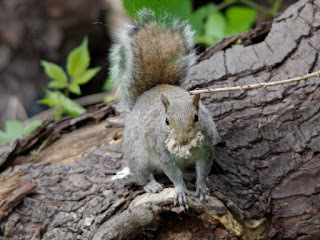 A squirrel beside the Long Water was chewing something. Oddly, it turned out to be a bit of brown paper. Perhaps it had wrapped a hamburger and was soaked in delicious grease. 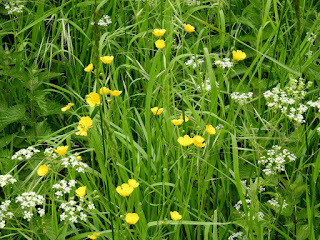 Tall buttercups have grown up among the cow parsley near the Italian Garden. 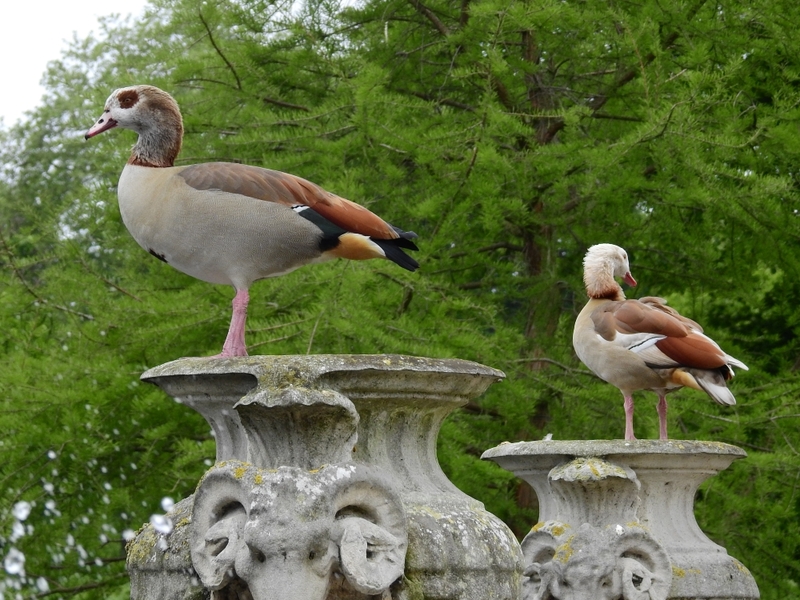 One would hope the Egyptians to be so busy posing on the urns they forget to make more doomed goslings. Chance would be a fine thing. They're at least 15 years old now. Perhaps they'll run out of steam anyway. I hope those dirtbags are caught after taking the swan eggs! Id need to only catch them once! What a disgusting thing to do. I don't think it was a fox. No broken eggs, no other signs of disturbance. When the eggs first started going, the swans returned to the remaining ones. Those clumsy, uncoordinated Grebes are so endearing. I'd like to give them a hug and my assurance that they will get better. 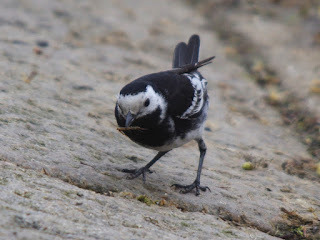 I am missing Wagtails a lot. 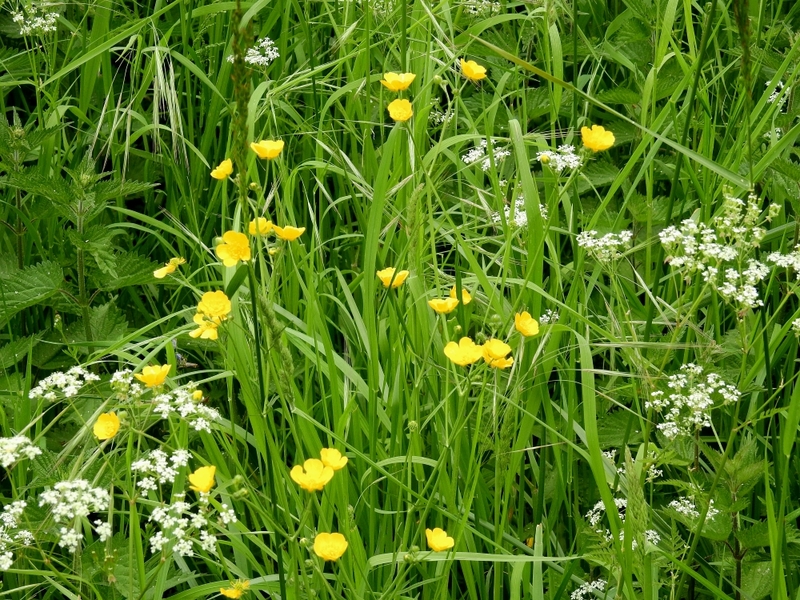 They are all gone from where I live until autumn. Most of our Pied Wagtails come from England, by the way. 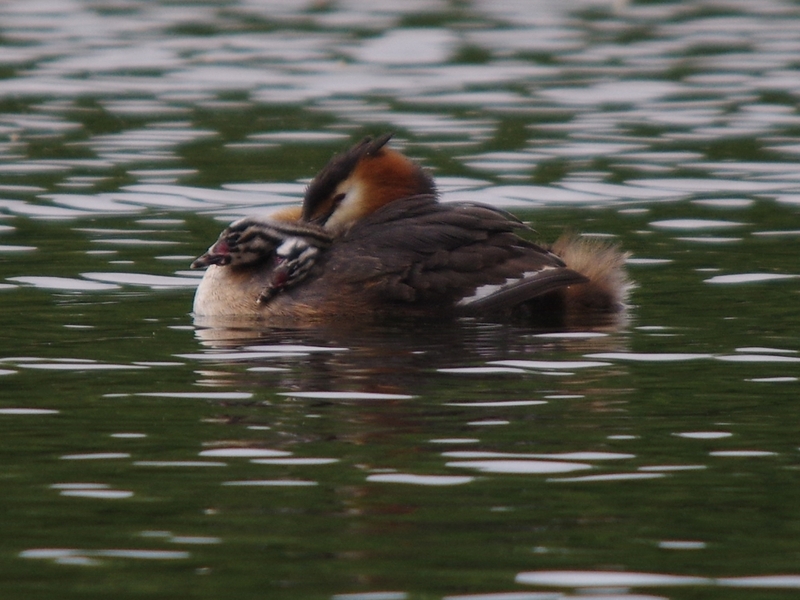 Do the Grebes keep their three chicks still? No, they've only got two. Sad but inevitable. Thanks Ralph, great post. Really upsetting what happened to the eggs! I've sent you an email a couple of weeks ago to thank you for meeting me at the park. If I'm brave enough I'll come early on Saturday! Do you know when it opens?